Sometimes you just need to believe the weather forecast – not always, just sometimes. Based on their recent predictions I decided that Saturday was going to be spring cleaning day for the chicken house and run. I even got the jet washer out of retirement for the occasion although that needed a little encouragement before the work could start. Apparently they don’t like working when connected via a long length of hose wrapped around a reel. Connecting the jet wash directly to the tap via a short hose soon solved that problem. 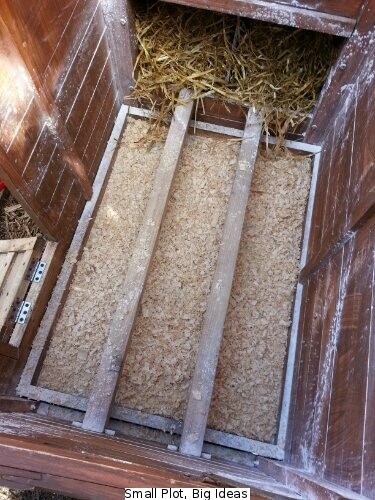 At the same time as doing all this chicken house cleaning it made sense to do a complete change of wood chips in the run and also tidy up the compost bins when getting rid of the results. It may not last but even the compost bins look pretty good. 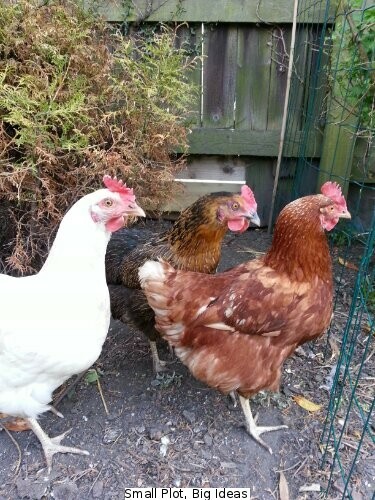 Luckily the weather was exactly as predicted and, after a short adventure rummaging through a flower bed, the chickens were soon back in their sparkling clean home. So here it is in all it’s glory. Fully jet washed, powdered and reloaded with straw and wood shavings.